Pedal in the front, party in the back. 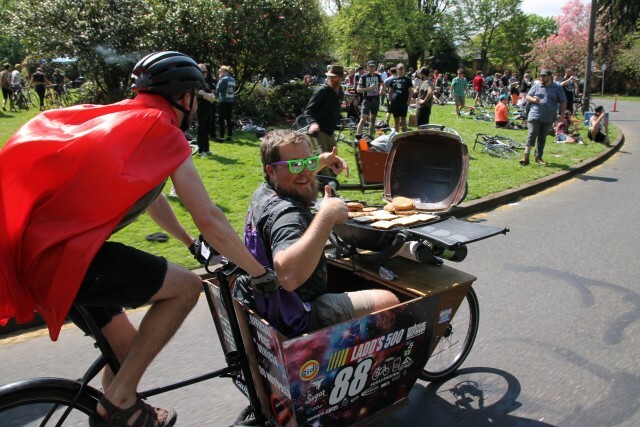 The Ladd’s 500 is a continuation of a proud Portland legacy: Free fun on in the streets that’s open to all — and with bicycles as the thread stitching everyone together. The “third first annual” relay drew a huge crowd to Ladd Circle Park on Saturday, which was the perfect base camp for the day’s activities. 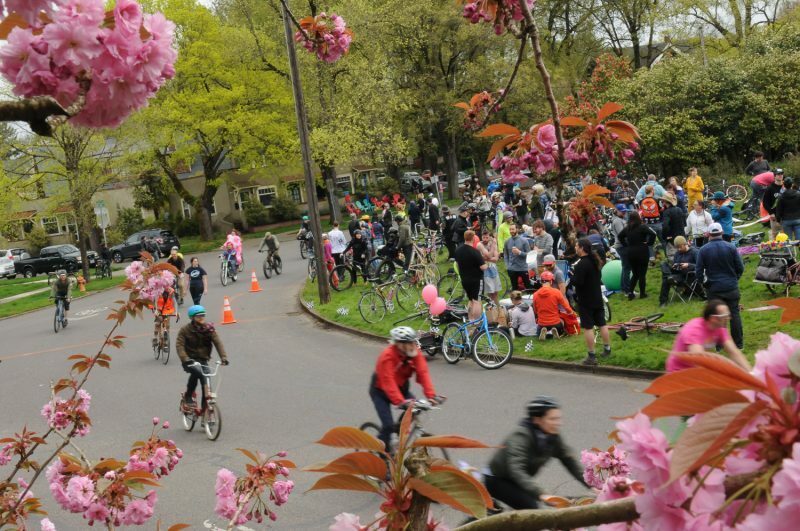 What is usually just a sleepy roundabout in a quiet residential neighborhood was enlivened with picnics, BBQ’s (by bike, of course), music, and Portlanders eager to shed winter, embrace a dry day, and enjoy each others’ company. This was my favorite tallbike — it has fenders! Lessons learned: show up early, bring extra water, snack before riding. I’ve had the pleasure of participating in quite a few Portland bike events during visits from Seattle — Fiets of Parenthood 2012, 2013, and 2014, Disaster Relief Trials 2013, one and a half TNRs, and a few smaller Pedalpalooza 2017 rides — but my experience at the 3rd 1st Annual Ladd’s 500 was the Portlandiest bikiest thing I’ve done yet! There were so many amazing bikes: tall bikes, swing bikes, cargo bikes, mini bikes, grill bikes, and a lot of skateboards. Team Grave Neutral kept riders fed while the Belligerantes bike club grilled in the infield. The Ladd’s 500 went off without a hitch on Saturday. And given the reactions we’ve seen so far, it appears the organizers have hatched a grand new Portland tradition. Approaching the intersection of Ladd Circle and Harrison, where a local school principal says people are riding fast and not following traffic signs. One of the most bicycle-oriented neighborhoods in America has a problem with unsafe cycling. 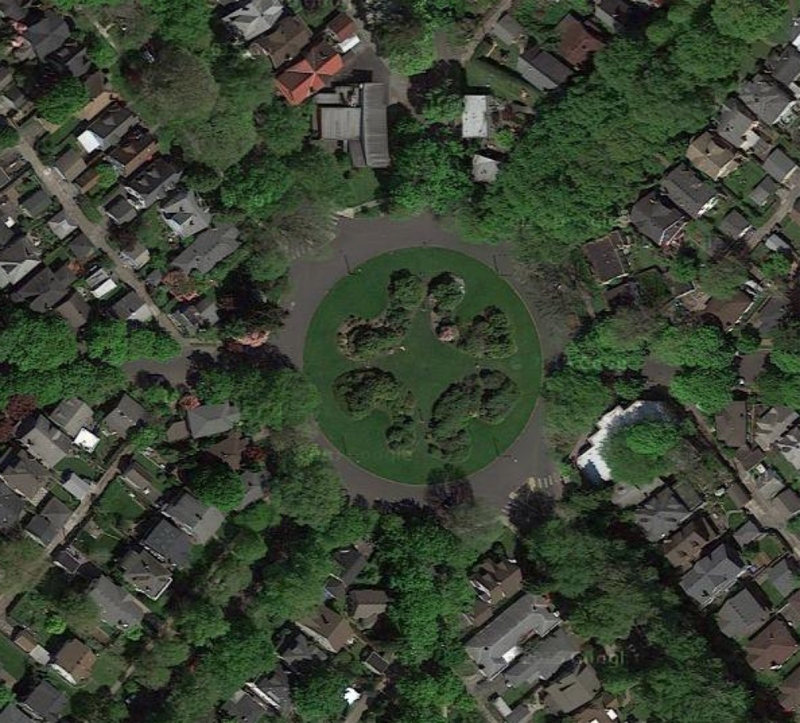 Aerial view of Ladd Circle in southeast Portland. 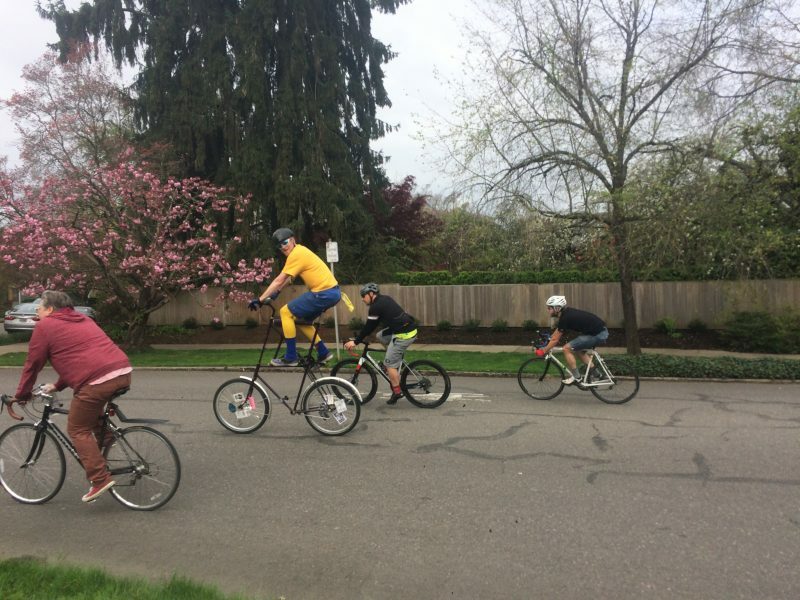 A new event dreamed up by one of Portland’s many creative bike fun enthusiasts could actually wind up making competitors dizzy. 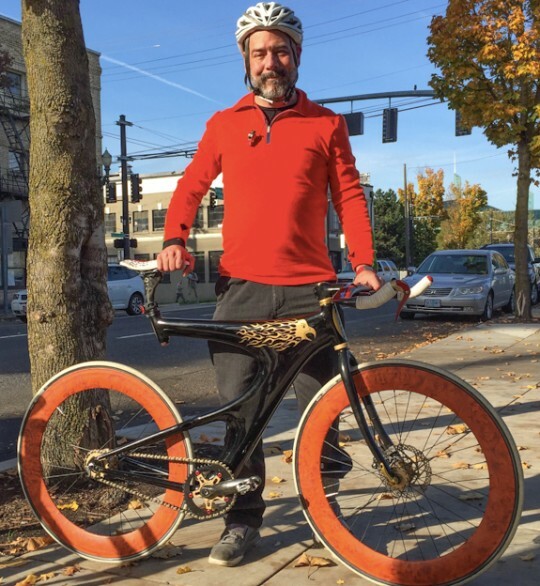 Karl Moritz and his custom build. 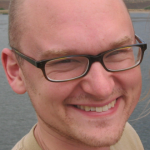 Many BikePortland readers may remember Karl Moritz’s story, after a crash in Ladd Circle in June of 2010 left him in a coma for three weeks. 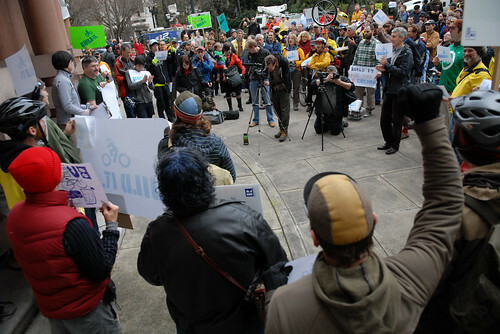 A scene from the “Build It” rally at City Hall back in February 2010. Saying Portland already knows how to increase safety on its streets and can get to work immediately without further study, the advocacy group BikeLoudPDX is organizing what looks like Portland City Hall’s first rally in five years on behalf of bicycling improvements. So far, more than 100 people say they’re planning to attend the Wednesday morning event. 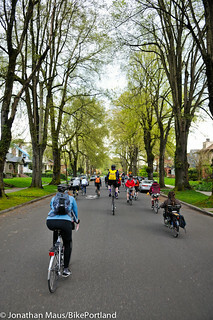 One of Portland’s busiest bicycling streets is set for a repaving project next week. The City of Portland says they’ll start work on SE Ladd Avenue between Hawthorne and Division on Monday June 1st and the project will last through Tuesday the 9th. Be advised of lane closures and detours from 7:00 am to 5:00 pm each week day. 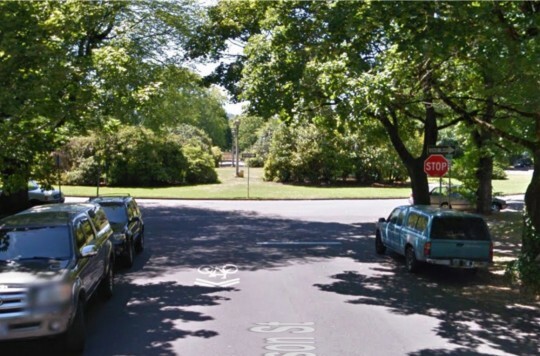 The Bureau of Transportation plans to pave 1.78 lane miles off Ladd Avenue — including a complete repaving of Ladd Circle. During work hours, SE Ladd Avenue will be open only in one direction, to inbound travel. People traveling towards downtown by bus, motor vehicle and bicycle will be able to share the road during those hours. 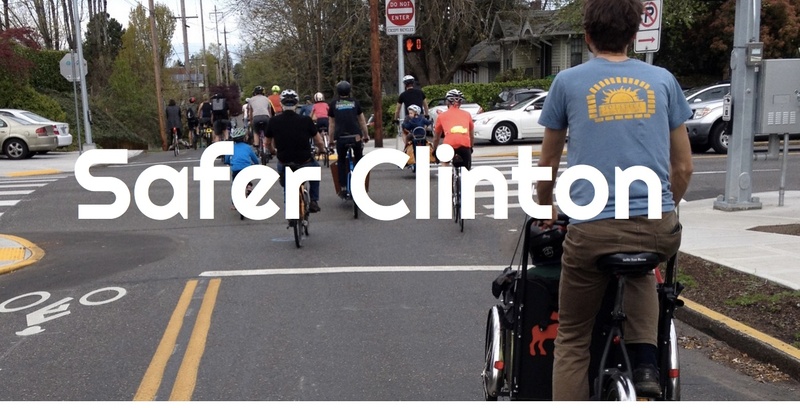 The ‘Safer Clinton’ initiative aims to celebrate Portland’s original bike street. 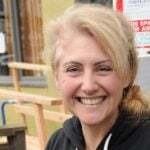 Like anybody who contributes a lot to their community, the Clinton Street Neighborhood Greenway has acquired a lot of friends in its first 30 years.